To register, you will be asked to fill in a form at the Health Centre. You will need to provide some form of identification, (e.g. a passport or driving licence). When you have registered you might be invited for a new patient medical with the Practice Nurse or a doctor, which will include a general health check. If you need to receive your medical information in an alternative format (eg. large print) or another language, please inform one of the staff. 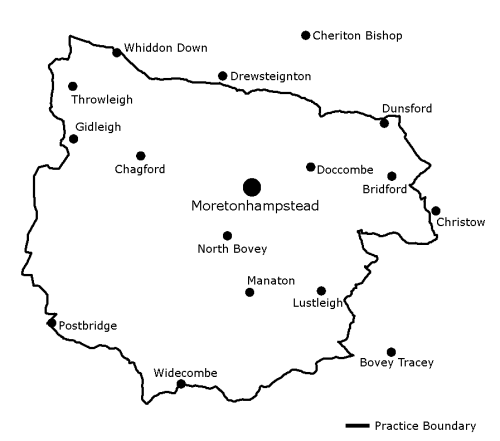 The area covered by the practice is shown opposite. If you change your address, name or telephone number please let us know so we have your up-to-date details. Please note that if you move out of the catchment area you will be asked to register with a local GP.